The world of rare books and manuscripts is full of intrigues, betrayals, and frauds. Alberto Casares has lived in this world for decades; as the president of the Antiquarian Booksellers Association of Buenos Aires, he’s an expert on the subject. He’s got the physique du rôl: a gray, messy beard; a soft body; an intense and wary look. A few months ago, Casares was offered a seventeenth-century original edition of Don Quixote for one million euros. He recognized it as a well-known forgery from the nineteenth century, worth no more than €200,000. 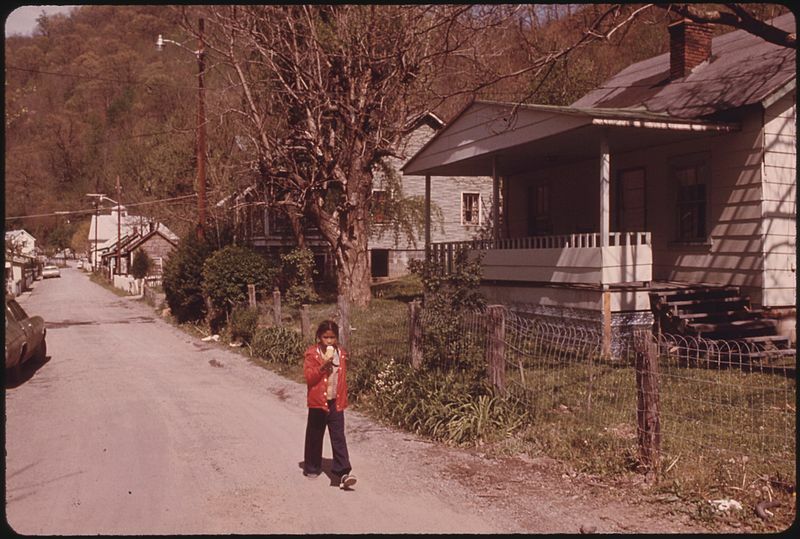 The seller took it away, determined to find a more unsuspecting client, and Casares was left alone with the melancholy of having lost something that was never his to own. What would some people give to own it? Casares told me, “Bibliographers are willing to commit crimes to follow their mad desire to own things.” He was thinking of a former client, Daniel Pastore, a collector of rare books and first editions, heir to a pharmaceutical fortune and owner of Imago Mundi, Buenos Aires’s most elegant antiquarian bookshop, which closed a few years ago after a succession of international scandals involving Pastore. Casares was annoyed and fascinated by Pastore, who was eighteen the first time he walked into Casare’s bookshop. He was handsome, rich, likeable, and learned—a good client. But he was also pedantic; he claimed to know more about rare books than Casares. Sometimes he did. But not when it came to Jorge Luis Borges. 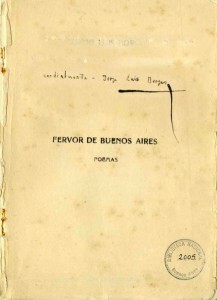 One morning in late 1999, Pastore brought in a copy of the first edition of Fervor de Buenos Aires, Borges’s first published book. For men like Casares and Pastore, it was a kind of grail—the most valuable first edition of Argentina’s greatest twentieth-century writer. “Fervor de Buenos Aires foreshadows everything I would do afterward,” wrote Borges. Every self-respecting collector of his works owns a copy from that first edition. 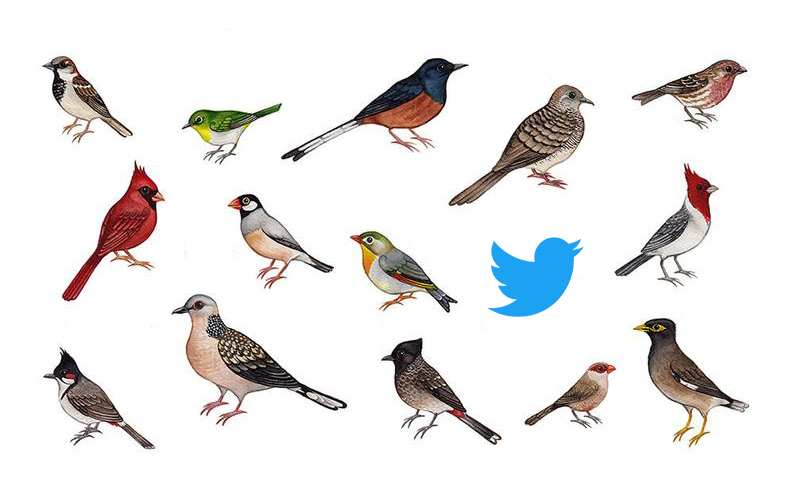 Few copies remain—only 150, according to Casares, with no more than fifteen in circulation. But Pastore had that copy in his hands. Could Casares confirm that it was a legitimate first edition? Pastore mentioned Guillermo Billinghurst, a “mediocre bookbinder,” according to Casares, who used to bring him Borges first editions of dubious origins—a client had left it with him for binding, he would claim every time, and did not return to pick it up. 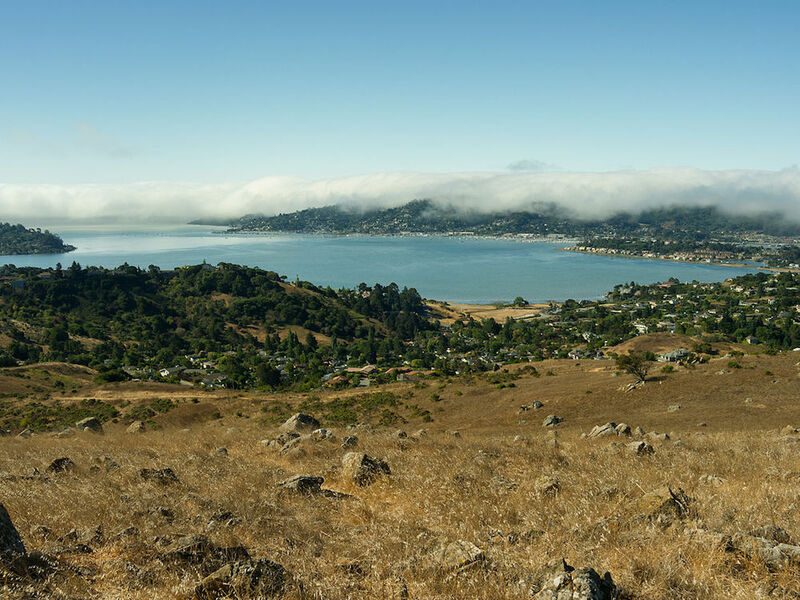 Fifteen years later, Casares bitterly regrets his outburst of civic responsibility. What happened afterward taught him that, in Argentina, it’s better to keep your mouth shut. Before he filed the report, Casares called Juan Manuel Peña to warn him that a book from his collection had been stolen from the library. Instead of thanking him, Peña begged him to hide it. The Library had not yet paid him for the books, which he had already delivered, and a scandal could ruin his chances of getting the money. Casares, determined to do the right thing, talked to Alejandro Vaccaro, the Borges specialist, who understood the seriousness of the matter and offered to go with him to explain it to the director of the National Library, Francisco Delich. They got an audience, but, just like Peña, the director did not seem to welcome the news. First, Delich and a couple of library employees denied that the copy had been stolen—it was, they said, stuck in Portugal as part of a traveling exhibition about Borges. 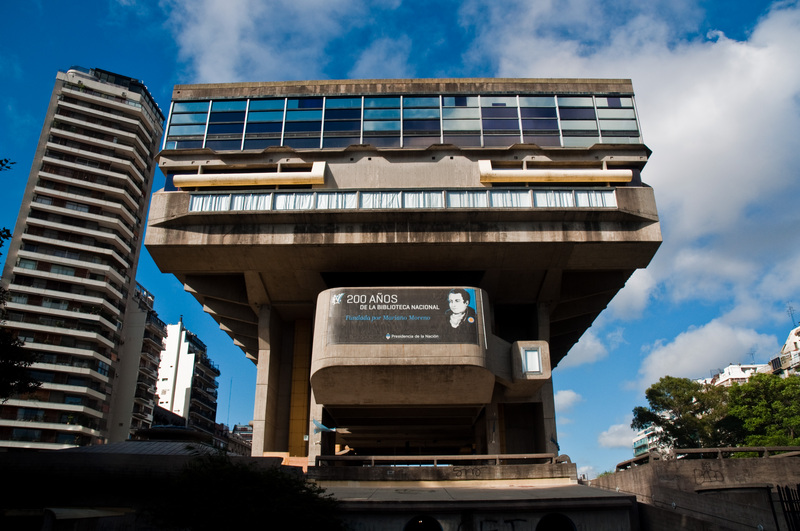 (Much later, a library employee confirmed that, for budgetary issues, the Argentine government took three years to repatriate that exhibition.) Also, the library had never properly catalogued the book before sending it off in the exhibition, which made it hard to confirm it was the same copy. 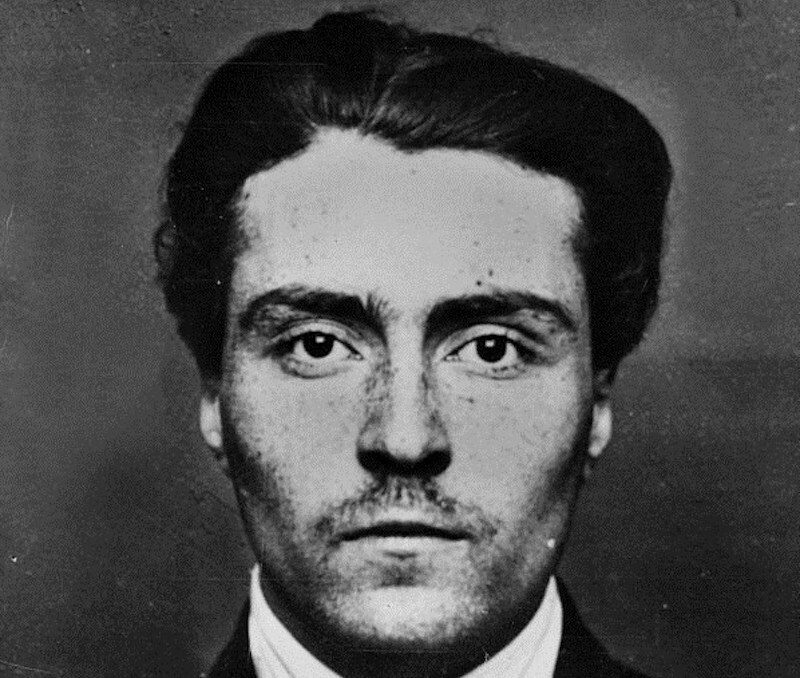 Exasperated, Casares demanded that the police be told, and that they raid Billinghurst’s apartment immediately to recover the book. But the employees only went as far as to initiate an internal inquiry. And so it did. The officers at the federal court of Judge Jorge Ballestero were used to dealing with drugs and government corruption; they didn’t quite understand the gravity of the matter. After all, this was not a manuscript or a unique copy—it was a printed book, one of many. 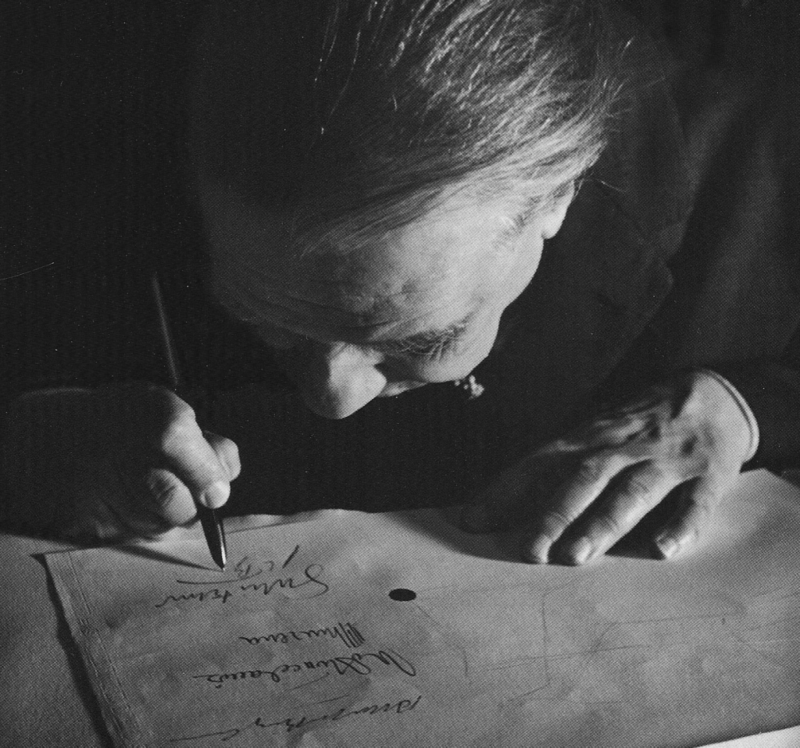 Even if it had Borges’s handwriting in it, what, really, was its importance? The library itself had another copy of the same edition. Trafficking in cultural property, including rare books and manuscripts, is a six-billion-dollar-a-year industry, second only to arms and drugs, according to estimates often cited in international conferences. Interpol, which two decades ago opened an office to deal with this kind of crime, says that estimate is impossible to confirm. Most of the trafficking centers on London—its endpoint tends to be the United States, where there are enough people willing to pay hundreds of thousands of dollars, or even millions, for a rare book. According to Travis McDade, a professor at the University of Illinois Law School, owning a unique symbol of universal culture makes some people feel just as unique. “Never underestimate people’s necessity to be considered intelligent,” he says. Nobody knows how many valuable books have been stolen and bought in the black market, and every now and then a scandal breaks to prove our ignorance. In 2003, it was found that an employee at the Royal Library in Denmark had stolen, in the previous thirty years, more than three thousand unique books, among them manuscripts by Immanuel Kant, fifteenth-century atlases, and first editions of Martin Luther. The case only became public when, after the employee died, his widow tried to sell the collection to Christie’s. The value of these books and manuscripts lies not only in the fact that a millionaire might be willing to pay for them, but, as both buyers and traffickers understand, in their import as cultural artifacts. When, four years after filing his report, Casares was called to give a statement about it, he was unable to make the Argentine court understand this. Deborah Yanover, the owner of Bueno Aires’s Librería Norte, told me that his father—the late Héctor Yanover, the bookshop’s founder and another former director of the library—often received offers of first editions and manuscripts, stolen from the library of which he was the director. According to Horacio Salas, another director, the library lost some two hundred thousand books in the last few decades. This problem is not exclusive to the library. State archives are woefully neglected. When a naval officer opened the door of a basement in the Navy building for me a few years ago, he found it had turned into a lake of wastewater in which boxes, papers, and rats floated. In 2001, an undersecretary at the Interior Ministry found, by chance, while he was moving offices, a very valuable file with classified documents from the last dictatorship (1976–1983). He called me: Maybe some of it would be useful for a book I was writing? I could take whatever I wanted. Only after I wrote about it for the newspaper was he forced to hand in the file to the office in charge of processing it. In mid-2003, while the investigation languished in court, Pastore called Casares again, this time not to show him but to ask him for a copy of the first edition of Fervor de Buenos Aires. He was preparing a collection of Borges’s first editions and other treasures, for which he expected to get a record price: four million dollars. It would be auctioned at Bloomsbury Book Auctions, in London. But Casares didn’t have an edition of Fervor, and he couldn’t get one from the collectors he called. Instead, at a reduced price, he sold Pastore one of the facsimiles he’d made ten years earlier from the stolen Fervor. Pastore also asked him to write the prologue for the auction catalog. On October 28, 2003, almost a month before the auction, the catalog made it into the hands of Alejandro Vaccaro, the collector who’d accompanied Casares to file the report on the Fervor theft. Vaccaro found the description of the copy of Fervor included in the offer: it was an exact match of the copy stolen from the Library. 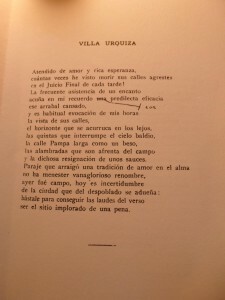 There was the dedication to Nydia Lamarque and the correction on “Villa Urquiza.” The summary also mentioned that the copy had belonged to the Peña collection. There were no doubts: this was the stolen copy! What Vaccaro didn’t understand was why Casares, who had reported the crime as soon as it had happened, had now turned into an accomplice. He called a journalist from La Nación, and the following day everyone knew that a valuable book stolen from the National Library would be auctioned off in London for £22,000. It was an international scandal, an embarrassment for the country. Pastore and the organizer of the auction, an Italian man called Massimo De Caro, claimed there was an error in the catalog. Casares explained that the catalog writer, a Bolivian named Molina, had had the facsimile before him as he wrote: hence the mistake. The book offered in the auction was not the one from the Peña collection, they said. No one believed them. They had to remove the book from the auction, which became a failure. Pastore and De Caro offered to take the book to the library so that its new director, Horacio Salas, could confirm it was not the stolen copy. Salas accepted—but before he received them, he called Judge Ballestero, who was in charge of the dormant case, and who in turn alerted Interpol. When Pastore and De Caro walked into the director’s office, they found the police, who confiscated the book and put it under custody of the court. Casares, now suspected of having taken part in the very crime whose investigation he had initiated, testified before the judge that the book was not the same one that had been stolen from the Library—nor, however, was it the facsimile he’d sold to Pastore. It was, he explained, a third book, similar to the others. It had the correction on the fifth line of the poem, but the stroke on the correction line was different. And unlike the stolen copy, this one was bound, its original cover intact. 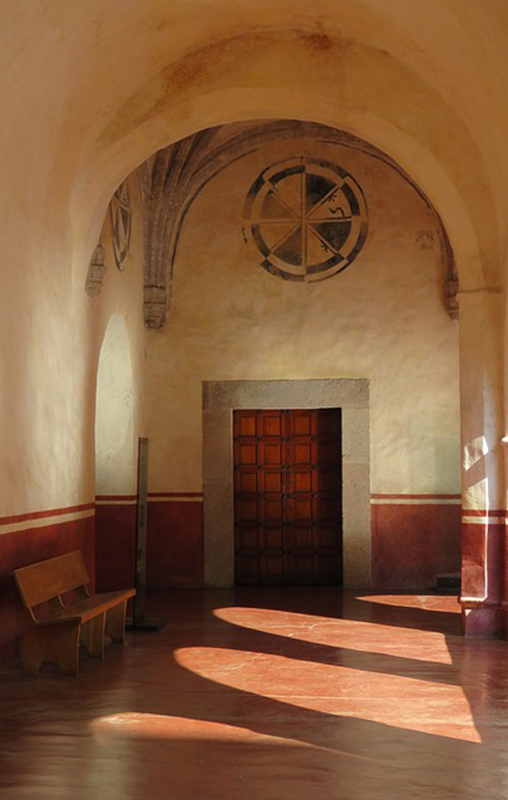 Vaccaro denounced Casares as a liar and even showed up at the entrance of the yearly antiquarian book fair to hand out flyers against “book thieves.” The issue was only settled when Juan Manuel Peña assured everyone that, indeed, contrary to Casares’s claims, this was the book that had belonged in his collection, the one he’d sold to the Library. The judge agreed and ordered that it be returned. And that was that: in mid-September 2007, the investigation was officially closed. 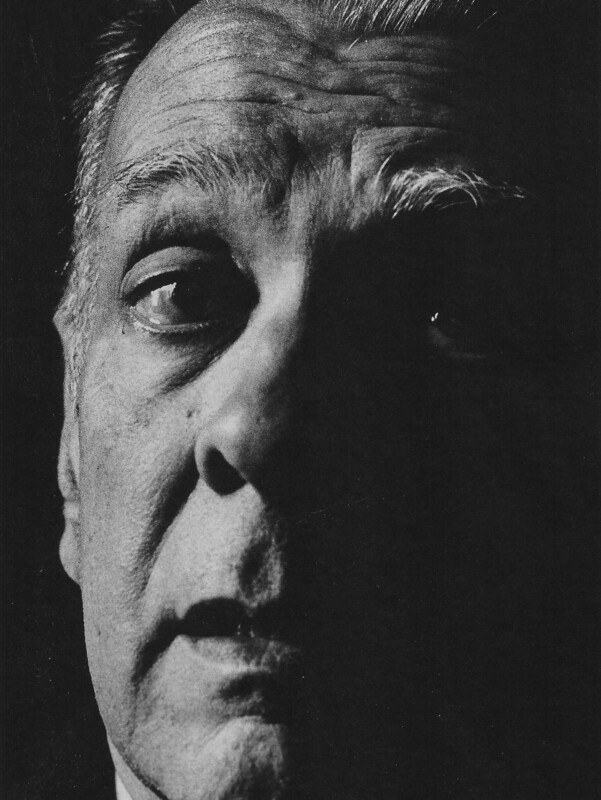 “Borges returns to the National Library,” celebrated La Nación. No punishments were imposed. “Judge Ballestero acted with precision and fervor, to make a play on words,” announced Horacio González, the library’s new director—the fifth since the theft. Three weeks before the ruling, a Uruguayan man named César Gómez Rivero was looking up some books from the fifteenth century at Spain’s National Library, in Madrid. Without anyone noticing, he used a razor blade to cut out nineteen unique prints, including two world maps from Claudius Ptolemy’s Cosmographia, printed in 1482 and often considered some of the most beautiful woodcuts of early world maps. He rolled them up carefully and hid them under his clothes. That same night, he boarded a plane to Buenos Aires. It was the biggest robbery in the history of the Spanish Library; days later, when the incident became public, its director was forced to resign. Interpol traced the stolen prints—Ptolemy’s map alone was valued at €110,000—all the way to Daniel Pastore’s antique bookshop, which had listed them in its catalog. He had already sold some of them, over the Internet, to clients in Australia and the United States. Pastore received a light sentence of community service, but the international scandal was such that even before the Antiquarian Booksellers Association could expel him, Pastore shuttered his store. His partner in the London auction, Massimo De Caro, was caught a few years later in Italy. In April 2012, it was revealed that at least 1,500 historic books—and maybe as many as four thousand—had disappeared from the Girolamini Library in Naples. De Caro had been the library’s director for eleven months. The police found boxes with hundreds of stolen books at his house. Seven years after Fervor de Buenos Aires’s return to the library, and fifteen years from the beginning of this story, Casares is still bitter about the damage done to his reputation, which has never repaired. He assured me once more that the book returned to the library was not the stolen copy, and, sensing my skepticism, he insisted: in the correction of the “Villa Urquiza” poem, the line that Borges drew between the crossed-out article and its replacement was of a different length and inclination. It was not necessary to have the original copy to compare; the facsimile was enough. He’d handed it to the court to make the comparison, but they hadn’t bothered to check. Many details seem to refute him. If he’d seen the stolen book in Pastore’s hand, it seemed clear that Pastore had kept it. Then there was the question of Pastore’s history, and that of his partner De Caro. Plus, Peña, the book’s original owner, had recognized it as his own. If this weren’t enough, Vaccaro, the other complainant, had assured me that a few years after the scandal, Pastore had invited him to lunch to tell him “the truth.” He said the book was, in effect, the one stolen from the library, but that it had been bought in good faith from John Wronosky—an antique bookseller from Boston who offers Borges manuscripts (of dubious authenticity, according to some collectors) for up to half a million dollars. 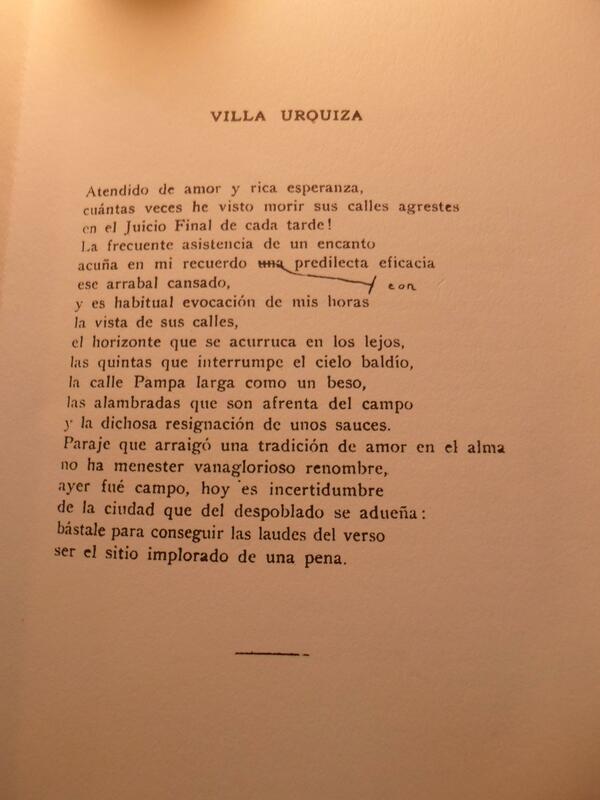 As I was leaving Buenos Aires for several months, I asked a student to go to the library, request the recovered copy, and send me a scanned copy of the “Villa Urquiza” page. After some toing and froing, they did not allow him to see it. I e-mailed the director, Horacio González: They were telling me the recovered book was not the one that had been stolen. Was this true? To my surprise, González replied, “It is as you say. 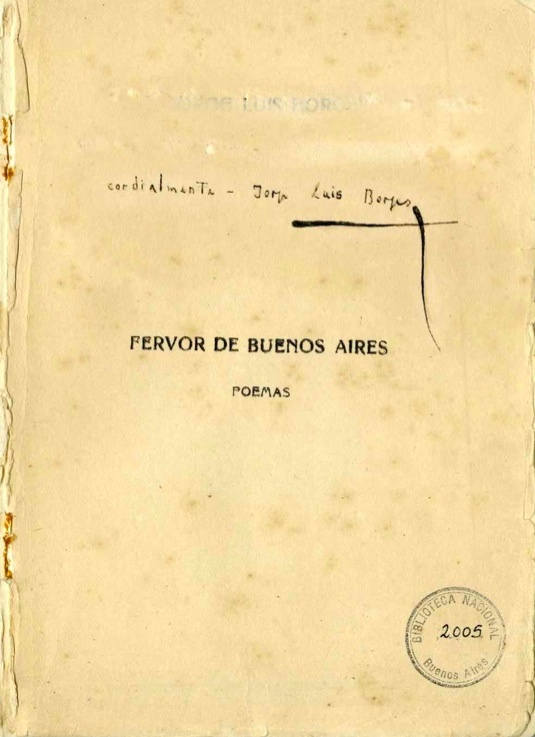 Fervor de Buenos Aires, first edition, is a recovered book that does not seem to be the one that was stolen.” Laura Rosato, the curator of the Borges collection, was copied on the e-mail. She confirmed it: this was, indeed, another book. Where had this copy come from? What had happened to the stolen one? Graciela Mochkofsky is an Argentine journalist and writer. She is currently a fellow at the Dorothy and Lewis B. Cullman Center for Scholars and Writers at the New York Public Library. She is working on a new book about an unprecedented wave of massive conversions into Judaism throughout Latin America.